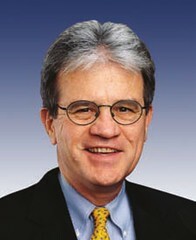 Just a few days after getting implicated in former U.S. Sen. John Ensign’s ethics investigation, U.S. Sen. Tom Coburn has apparently walked away from the “Gang of 6,” a supposed bipartisan group of senators trying to reduce the federal debt. According to media reports, Coburn, Oklahoma’s junior Republican senator, didn’t meet as scheduled with the five other senators Tuesday, and later said the chances were “not good” for a bipartisan fix on the issue. The other senators are Republican Sens. Saxby Chambliss of Georgia, Mike Crapo of Idaho, and Democratic Sens. Richard Durbin of Illinois, Kent Conrad of North Dakota, and Mark Warner of Virginia. Their work seemed mostly media symbolic in a politically divided Washington, and, indeed, the corporate media here has reported Coburn’s typical grandstanding favorably. But the immediate response from Democrats and voters to the Republican plan to turn Medicare into a voucher program, increasing health costs astronomically for seniors, probably doomed any chance for a bipartisan approach to real deficit reduction. If the government is going to reduce the deficit, it needs to end the wars in Iraq and Afghanistan, and end the Bush-era tax cuts for the rich, not cut health care for seniors. Colleagues in recent days had wondered whether he [Coburn] would withdraw after a report from the Senate Ethics Committee on the conduct of former Senator John Ensign of Nevada implicated Mr. Coburn, a friend of Mr. Ensign’s, for helping to arrange controversial payments to the husband of Mr. Ensign’s former mistress. One controversy was enough without inviting more by reaching a bipartisan budget deal, the thinking went. I recently wrote about a report released last week by the Senate Select Committee On Ethics that noted Coburn’s role in trying to arrange a payout for Ensign’s former mistress, Cynthia Hampton, and her husband, Doug. Both Hamptons worked for Ensign at one time. The report found that a payout to the Hamptons might have both violated senate rules and also federal campaign laws. In the report, Coburn was described as “a close spiritual and personal confidant . . .to Senator Ensign.” Ensign, a Republican, is from Nevada. Let’s hope the Ensign affair has dampened Coburn’s enthusiasm to seek the media spotlight through senseless political stunts that only show how one senator from a relatively small and poor state can hold the nation hostage with dysfunctional legislative holds. If Coburn were serious about reducing the deficit he would be marching with an end-the-wars sign in front of the White House and arguing everyday that the Bush tax cuts for the rich should be ended. Instead, he wants the nation’s most vulnerable citizens, primarily the elderly, to take steep cuts in Medicare and Medicaid.